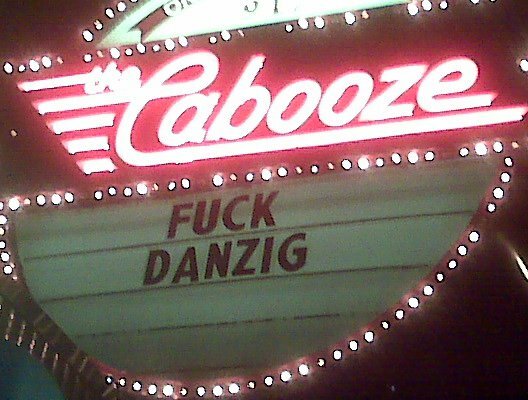 Last night, Glen Danzig pulled what has to be one of the biggest jerk-off moves we can remember hearing about - by pulling out of a scheduled show at West Bank club Cabooze. City Pages and Star Tribune both have reports on it. Cabooze staffers reportedly said Danzig was in the club for only about 30 seconds before walking out, saying something about the ceiling being too high. As a result, the club lost out on thousands of dollars and fans left disappointed. Via Kyle Mattheson, Chris Riemenschneider, Andrew Flanagan on Facebook.